Your pool may be brand new and in perfect condition, but it is probably still costing you money. Pools are a great investment, but some of the costs can be surprising, especially if there is a repair needed. If you find a leaky pipe then it is best not to let it go if you are worried about the cost of fixing it. A small leak can become a big problem if left for too long. Here is what you should do if you find a leaky pipe in your pool. 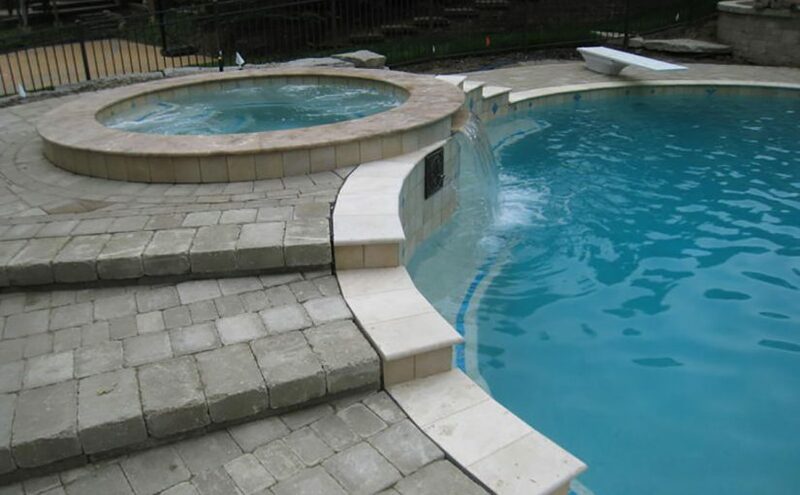 There are probably around 20,000 gallons flowing in and around your pool at any given time. Because of this, it can be incredibly hard to locate or even identify if there is a leak. There are special methods that involve listening equipment and dyes, but they can be quite expensive. Luckily, there are two questions you can ask to help you identify a leak in most cases. The first question is whether you are losing more water than normal. Water is constantly leaving your pool through evaporation and splashing, but if it seems to be leaving at an unreasonable rate, then you might have a leak. To test this, fill a bucket of water and mark where the water level is. Place a mark where the pool water is as well. After 24 hours, if the pool has lost water at a greater rate than the bucket, then there is a chance you have a leak. The other question is whether the pool seems to lose water when the pump is on. If your pool looks cloudy, it may be because you are losing clean water and pumping in dirtier water through the filter valve. Some other things to watch for are a lower flow rate, a loose pool pump, low filter pressure, and a pump that seems to have difficulty moving water. The best thing to do if you have a leak is to contact a professional to come to do the repairs. If you try to save money and do it yourself, you may end up causing more problems, which will then cost more money in the end.